Last week, I explored the issues involved in sizing a jump break properly. 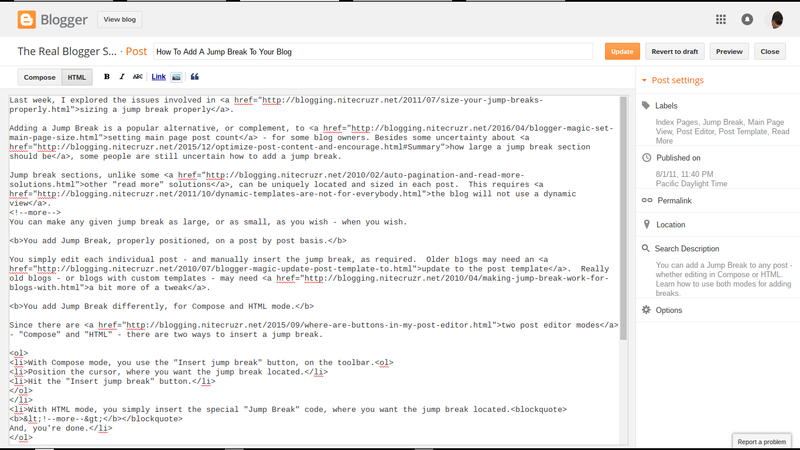 Adding a Jump Break is a popular alternative, or complement, to setting main page post count - for some blog owners. Besides some uncertainty about how large a jump break section should be, some people are still uncertain how to add a jump break. 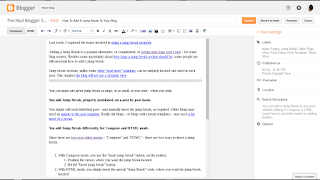 Jump break sections, unlike some other "read more" solutions, can be uniquely located and sized in each post. 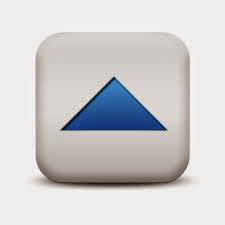 This requires the blog will not use a dynamic view. You can make any given jump break as large, or as small, as you wish - when you wish. You add Jump Break, properly positioned, on a post by post basis. You simply edit each individual post - and manually insert the jump break, as required. Older blogs may need an update to the post template. Really old blogs - or blogs with custom templates - may need a bit more of a tweak. You add Jump Break differently, for Compose and HTML mode. Since there are two post editor modes - "Compose" and "HTML" - there are two ways to insert a jump break. 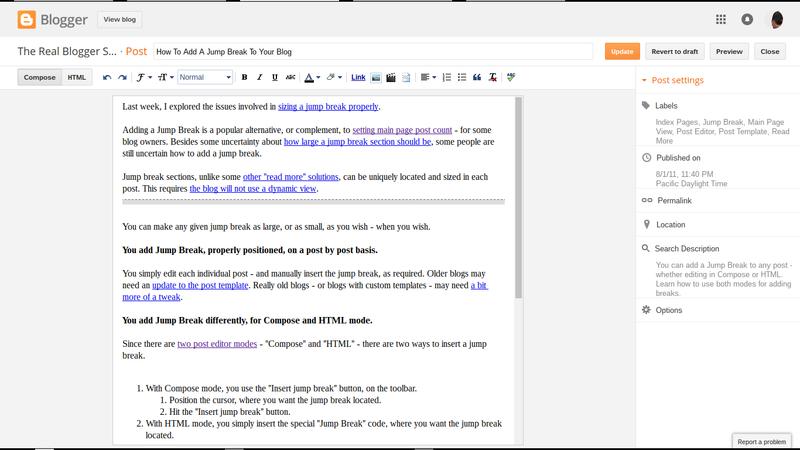 With Compose mode, you use the "Insert jump break" button, in the toolbar. Position the cursor, where you want the jump break located. Hit the "Insert jump break" button. With HTML mode, you simply insert the special "Jump Break" code, where you want the jump break located. This post, edited in Compose mode. In Compose mode, position the cursor appropriately - then hit the "Insert jump break" button, in the toolbar. This post, edited in HTML mode. Simply insert the special "Jump Break" code, where you want the jump break located. Use HTML mode, to relocate or remove the Jump Break. If you later decide to position the Jump Break differently - or to remove it altogether - simply edit the post, in HTML mode. Cut the snippet from it's current location - and paste it elsewhere (or don't). Position, reposition, or leave it out as you like. It's worth your time, to learn how and why Jump Break is useful. It's actually harder to explain it, than to do it. It's worth the time, to understand how, and possibly understand why to do it properly. And see how Jump Break fits into a properly designed main page. 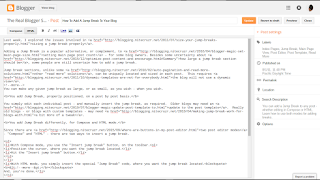 If your Jump Break does not work, we need to diagnose the problem, in Blogger Help Forum: Something Is Broken. Is this topic still in the picture? Just to give you my thanks. It was there and I had never seen it. You just solved me a huge problen and I am very grateful. Every question ive got about blogs, i stuble uppon you! You ROCK! Truly it just working awesome Thanks alot man... You're finaly solved my problem. Wow! Working Smooth. I've been searching for this for days. Here I am. Thank you. I was not aware about jump break. And actually, I was eager to know how this is done. I have seen the word "jump break" on the editor. With this article, I came to know more about the concept of jump break.